I don’t fish steelhead in the spring nearly as much as I do in the winter, I don’t like being crowded. I will bushwhack and find little isolated spots for brookies and brownies and have fun with 3 and 4 wt rods all by myself once the season opens. The hardest part for me was reducing the amount of gear I would carry in. Finding a few flies I had enough trust in to bring into the bush was the toughest part of it, since you never really know what the water conditions are going, you need to be versatile. A fly that works in more than one fashion is a huge asset in situations like this. Here are five flies that are easy to tie, will cover just about any situation and should be in your box for the opener. No surprise this one made the list, it is responsible for the majority of my trout BY FAR, especially in those remote locations where there is limited pressure. But not willing to leave good enough alone, I rarely fish the Bugger in its original pattern. From sizes 12-8 I usually add a silver-black bead to the fly. Nothing huge, just a little flash, and I finish the fly with a hackle collar that is swept back. For brook trout in turbid water I often tie the fly with crystal chenille in the body and a gold cone head. The beauty of the Wooly Bugger is that it can imitate ANYTHING, and fished just about any way imaginable. A classic, easy to tie, and my personal favourite for top water searching. I can almost always get a rise on an Elk Hair Caddis. It represents more than just a caddis fly if you ask me, and thats why it is so effective. 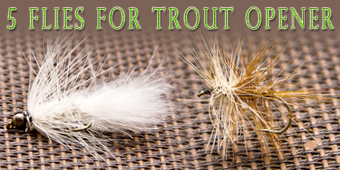 From hoppers to emerging mayflies, like the Wooly Bugger, it is a versatile bait. With a gold bead this fly gets down quick, and catches. Again it is one of those versatile flies, from what it represents to the way you can fish it. It is heavy enough to use for czech nymphing in moderate runs, and light enough not to sink an Elk Hair Caddis fly as a dropper. Like the Wooly Bugger, the Bi-Visible is obscure enough to imitate a variety of things, and the trout seem to always like what ever it is they think it is. I rarely get light sips on this fly, especially when I am skating it. With all the hackle its great as a lead fly, dries quickly with false casts, and can be used during almost any hatch effectively. 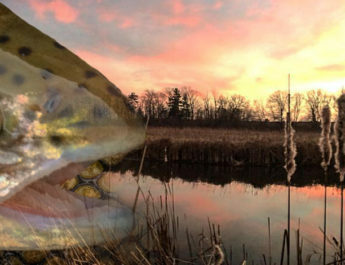 In a pinch I have cut down the body on the water to create a more mayfly like profile and it saved my day. My secret weapon, I almost did not want to add this in, but this site is all about sharing, so hear it goes. A zonker tail, cross cut body, dumbbell eyes, and a a wool or yarn red head. 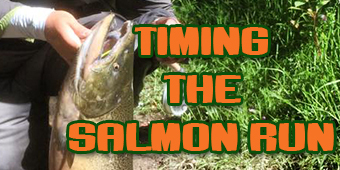 Fish it like a streamer or swing it in the current, it will pull specks out of any pool. But it does not stop there, browns, rainbows, salmon, panfish, pike, muskie, bass and walleye have all fallen victim to this fly. I fish a size eight for all my trout applications with the exception of crystal clear cold water, where I go down to a 10. Any smaller and I feel like the fly looses its allure. With these five flies, I can tackle just about any situation I run into on opening day. They are easy to tie, durable, and have a proven record to catch fish.